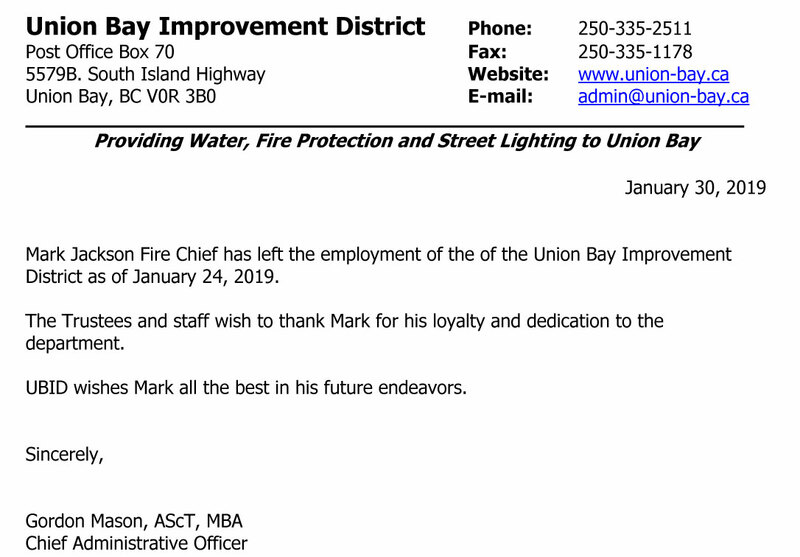 What’s the story behind the Fire Chief leaving the Union Bay Improvement District? Anyone else find this notice odd? What happened that the Fire Chief seems to have left suddenly? Given the track record of the incompetents, I imagine the truth will surface. Stay tuned on this one. Previous Post Haraldson caved on the apology letter being mailed out – one defeat after the other because of incompetent/uniformed decisions – resign!